To some art-lovers William Roberts, who has died aged 84, may have seemed an impersonal observer of everyday life  particularly London life  except in his involved and richly humanistic portraits of his wife and son. It seemed as though he could convey his vision of the human condition only by stylising his tubular figures  'Tubism' rather than Cubism, and thus giving them universal as well as individual significance. In his life, as in his art, he knew very early where he was going and kept his eyes steadily on his chosen road. 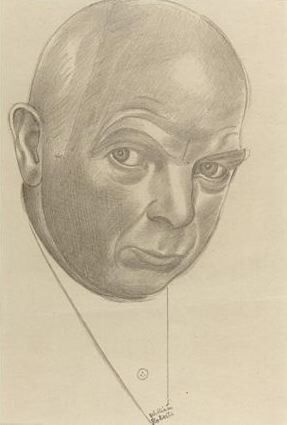 Born in Hackney on June 5, 1895, the third child of Edward Roberts, carpenter, and Emma, formerly Collins  both Londoners  he began to draw almost as soon as he could hold a pencil. His craftsman-father encouraged him, and when the boy said he wanted to be a painter, made him and easel and a drawing board. Young William Patrick left schools at 14 and was apprenticed to Sir Joseph Cawston printers, law stationers and designers of posters and general advertisements. He attended evening classes at St Martin's School of Art and in 1910 won a three-year LCC scholarship to the Slade. At this period he was influenced by Roger Fry's two post-Impressionst exhibitions of 1910 and 1912 and the Italian Futurist show at the Sackville Gallery in 1912. He worked for a time in Fry's Omega Workshop and then joined the Rebel Art Centre, becoming a signatory to the Vorticist Manifesto in Wyndham Lewis's Blast I . He served in France as a gunner in the 191418 War, and taught at the Central School of Art from 1925 to 1960, except for a spell when he was teaching at Oxford, one day a week. He exhibited regularly at the Royal Academy and became an Academician in 1966. He moved to a house near Regent's Park in 1946. Roberts was married to Sarah Kramer, sister of the Leeds artist Jacob Kramer, and had one son.